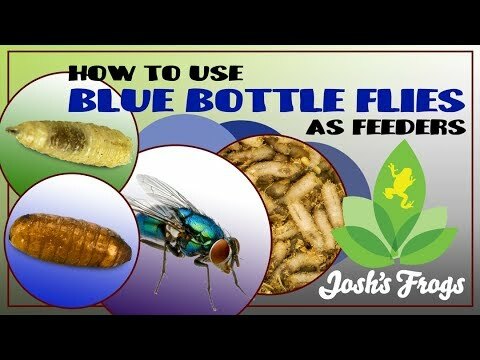 YouTube - Fruit flies are a favorite feeder insect for a variety of exotic pets, such as bettas, killifish, poison dart frogs, and praying mantids. Josh’s Frogs is the leading supplier of fruit flies in the United States, and carries all of the supplies, materials, and knowledge you need to produce healthy, booming fruit fly cultures. Watch this video to find out how to start your own fruit fly culture. DartFrogz.com - An older but very thorough tutorial that remains useful for those looking to make their own fruit fly cultures. Chameleon Forums - Here’s a fun video of a chameleon eating fruit flies in its enclosure.